When I was in elementary school I caught the bus at the corner of Creekwood and North Colony every morning. And on my bus there was a boy that was ridiculed on a daily basis. He was quiet. Shy? Maybe. More likely he was just conscious of the ridicule and decided not to "put himself out there" by showing the more real parts of him. While I don't pretend to be the most non-judgmental person in the world, I will say that I was drawn to this boy. I wasn't sure why at the time, but it is now very clear that this was part of God's plan. Part of His way of developing me into the person that I have become. The person that I needed to be. He was quite a bit older than me - I was maybe in 2nd or 3rd grade, he in 5th or 6th. I remember someone asking him what he was going to dress up as for Halloween, hoping he would reply with something that would give them reason to make fun of him. He was unaware of the prodding and before he could respond, I flipped around in my seat and said to the other kids on bus 236, also older than me, "Just leave him alone." I surprised myself just as much as I think I surprised him and the rest of the children. Even though I had once sat a few rows up from this same boy at the start of the school year and whispered with my friend from down the street about his speech impediment and odd, gangly stature, I had suddenly realized that my gut was telling me it felt wrong to do so. I felt compelled to stick up for him. This incident on the bus has stayed with me for many years (obviously - I'm still talking about it today!) and now I know why. What I didn't know then was that I would eventually be given the very important task of raising a child much like the boy on the bus. A child that is different. I often find myself obsessing over what Aiden will encounter in his school years. How many times will he be ridiculed for the way his hands look or the facial differences that will become more apparent as he grows? I wonder what I can do to make his road easier. Can I do something to educate people about Apert Syndrome so that it will be more accepted? What about simply educating people about differences in general - teaching them to appreciate, acknowledge, accept what is different rather than belittle, ostracize and embarrass. I know it is an ambitious goal. And ironically, I write this on Martin Luther King Jr. Day. A day that honors the dreams that Dr. King dreamed as well. Of a world that accepts people for their differences. Most people can relate to my journey in some form or another. At some point in our lives, most of us will encounter adversity. It is my goal to give people a glimpse into what it is like to have a child that "looks different". If I can make people understand by sharing this ride then I am doing a small part. And if I can open people's eyes by making them appreciate their lives while also accepting those that might have a tougher road, unfortunately, due to the way they look, then I am one step closer to providing the life for my child that I want him to have. The life that he deserves. Many people have asked what they can do to help. And while I am so very grateful to those who have offered support monetarily for the event we're organizing for CCA, I also want to remind everyone that perhaps the more important gift to give our family is that of spreading awareness. Share this blog with others. Send your friends and family a link about Apert Syndrome (see the link on the menu bar at the top). Point people in the direction of Apert.org or ccakids.com to help people learn about craniofacial conditions. Hopefully then, if they encounter someone with a craniofacial condition, rather than turning away to keep themselves from staring, they might feel brave enough - educated enough - to smile or start a conversation. To ask how their day is going. To treat them with the same respect that would be granted any other individual. My purpose in life as a mother is much more clear than it ever was before. After much fear and reluctance, I readily accept this challenge. And I am starting to see how there are many aspects of my life that have unknowingly prepared me. I am grateful. I challenge you all to think about how your life would be affected if you were "raising different" too. How would you feel if your child was that boy on the bus. Wouldn't you want someone to stick up for him too? Food for thought. One of the best things Chris's (my boyfriend, who for anyone I haven't met, went blind at age 3) parents did for him was to not focus on getting other people to accept his differences but instead to accept themselves that, essentially, he simply wasn't any different. He is absolutely everything he is supposed to be. Because there's just no way you can get everybody to accept Aiden the way you want them to, the way you know he should be - there is always going to be someone out there who says something mean or just doesn't understand. But if he grows up knowing from you and Ricky and Ethan that he is complete and whole instead of someone who needs defending, that's the way he's going to see himself - and that is what's going to get him through the experiences that you can't protect him from as he grows up. 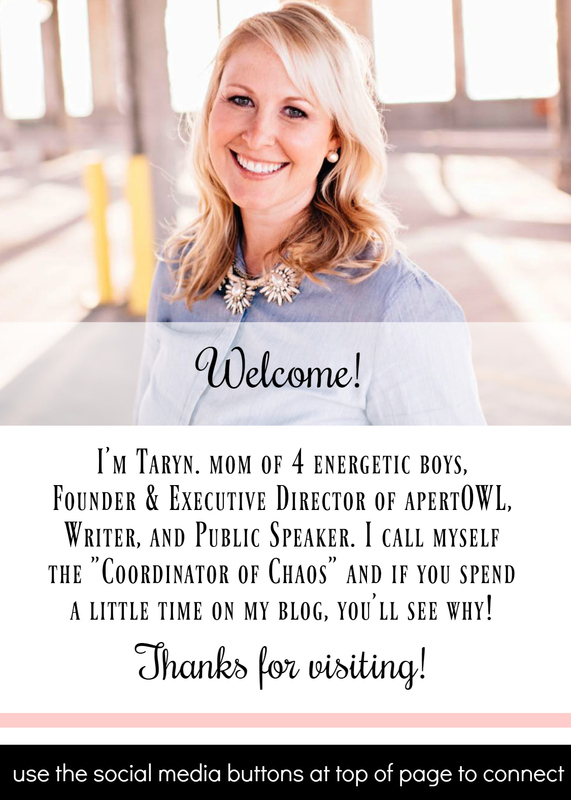 Hi Taryn, beautiful post once again. I will indeed be forwarding it to friends and family! I agree with some of the points that Emily advances and especially don't want Ira to feel he constantly needs defending, but also have to say as a mum of Ira who also has Apert Syndrome, that the reality is that he is different. Different in that he will have to encounter second glances, encounter people not brave enough to accept him as 'their normal', encounter a world around him that is one, two or three degrees harder with fingers that don't bend and joints that are stiff, feet that may hurt and need work over the years. My hope however is that what people will notice about Ira is that his road has been harder than many and yet he has accomplished as much and more than many. I also hope that there will be more little Taryns around on the buses to stick up for anyone who is being picked on. I think that changing people's tendency to judge is near impossible, as you say, we are all guilty of it. But by setting examples that illustrate care love and concern for our fellow humankind, the people who do belittle or ostracise will soon become the 'different' ones. Yes Emily, I do agree with your point of always making Aiden feel complete and whole just the way he is. I have had that mindset from day 1, and it is of course my goal as his parent to do this going forward. But as Maria said, the reality of the matter is that Aiden IS different. People will notice it and he will notice it. One day he is going to come to me and ask why his fingers don't look like all the other kids in his class or why he can't go out to recess because he has to wear a halo distractor on his head to pull his midface forward. And no matter how well I raise my kids, the way Aiden will be treated in society will always be on the forefront of my mind. I will never point out his differences to others. I won't have to. And when they are noticed or questioned I will always talk about them openly and honestly. It is my intention to raise my kids in a way that celebrates each of them as unique individuals. Perhaps acceptance isn't what is the most important - you are right, I will never be able to make people accept Aiden the way those who know and love him do. Rather awareness about his difference, about Apert Syndrome, is, I believe, key to helping Aiden throughout his life.